"My father used to say that oppression isn't a finite state. It's a weight that is carried until it becomes too heavy, then it is thrown off." Really enjoyable and entertaining, but a smidge formulaic. 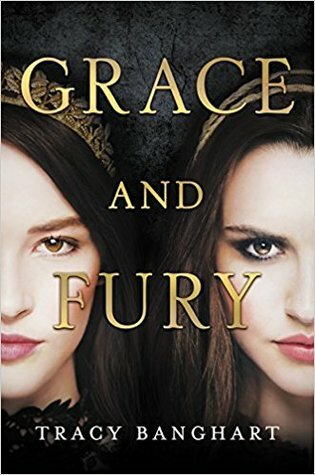 I've had my eye on Grace and Fury for many months and was more than ready to devour a tale of sisterly-bonds and corrupt medieval kingdoms. Thankfully, I got my wish. This book is more along the lines of what I wanted The Selection to be. Many beautiful women vie for the attention of the heir to the Superior (aka the king). One sister catches his eye and the other makes a terrible mistake that lands her in a horrifying situation. -The feminism. Sure, it's a bit overbearing at points, but this novel certainly isn't short on strong heroines and female empowerment. -The speed of the plot. This isn't a long read, but even so, I flew through it faster than I expected purely because Banghart's words pulled me along. -The promise of an interesting sequel. 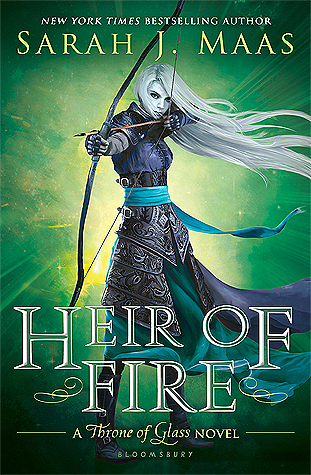 The ending really sets things up for an interesting second book, and even though I didn't love Grace and Fury as much as I hoped I would, I'm more than willing to continue with the series. -The plot twist (which I saw coming from a mile away). I know Banghart was trying to pull one on her readers, but I was disappointed by how predictable the second half of the novel was. -The male characters. It seems to me that Banghart was so intent on developing strong female leads that she left the men a little... dry. I had a difficult time connecting with most of the characters besides Serina and Nomi, and I feel that a little more development would have gone a long way towards making this the great book it could have been. So, overall, this book was fun. A nice jaunt through a mythical kingdom that could use a little girl power. Pick it up if you have a few spare hours to spend with these fierce sisters.